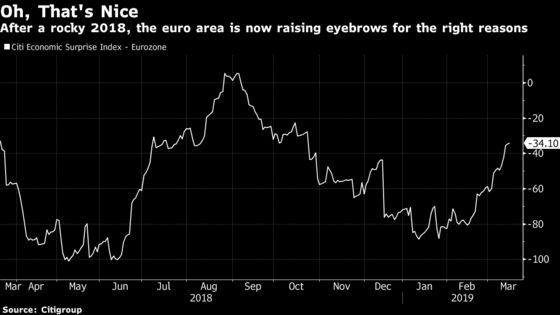 Europe’s economy hasn’t given investors much cheer over the past year, but some are saying there are positive surprises in store. 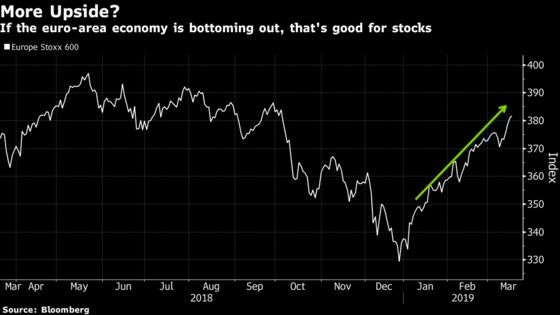 Many of the idiosyncratic issues seen in 2018 are starting to fade, including problems in the German auto industry, according to Graham Secker, Morgan Stanley’s chief European equity strategist. French consumer confidence has also picked up after a dent related to the Yellow Vest protests, though a flare-up at the weekend suggests that situation remains fragile.